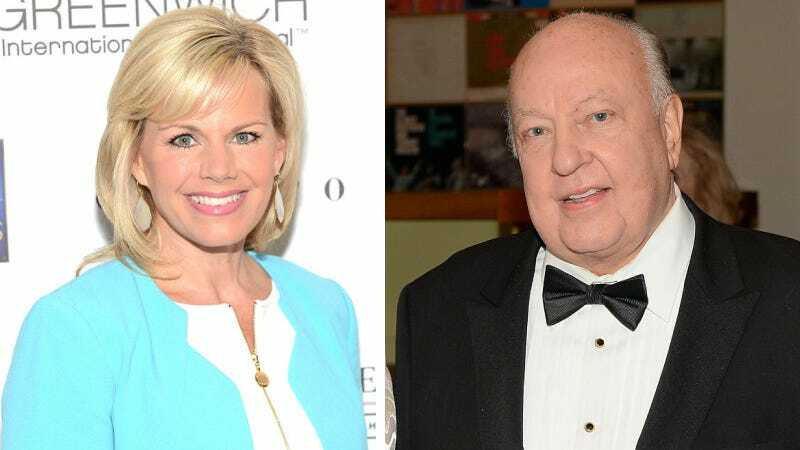 In early July, Gretchen Carlson filed a sexual harassment suit against Fox Network CEO Roger Ailes. In a rare turn of events, her accusations were taken seriously, sparking a wave of horrifying and detailed claims about Ailes by many other current and former Fox employees, after decades of other less well-positioned women tried to get their stories about Ailes out there. Though Ailes continues to vehemently deny any acts of sexual harassment by him at Fox Network, an internal investigation launched by Lachlan and James Murdoch and conducted by law firm Paul, Weiss turned up enough corroborating testimony to get Ailes fired. He was told bye bye, and kicked out with a cozy $40 million dollar severance package. 21st Century Fox is pleased to announce that it has settled Gretchen Carlson’s lawsuit. During her tenure at Fox News, Gretchen exhibited the highest standards of journalism and professionalism. She developed a loyal audience and was a daily source of information for many Americans. We are proud that she was part of the Fox News team. We sincerely regret and apologize for the fact that Gretchen was not treated with the respect that she & all our colleagues deserve. We know Gretchen will be successful in whatever endeavors she chooses in the future. I am gratified that 21st Century Fox took decisive action after I filed my Complaint. I’m ready to move on to the next chapter of my life in which I will redouble my efforts to empower women in the workplace. I want to thank all the brave women who came forward to tell their own stories and the many people across the country who embraced and supported me in their #StandWithGretchen. All women deserve a dignified and respectful workplace. If you’re wondering what Ailes is doing with his early retirement (besides “consulting” with Fox), he has hired Charles J. Harder, who successfully represented Hulk Hogan in the wrestler’s suit against Jezebel’s parent company Gawker Media, recently purchased by Univision. Ailes has his eye on journalist Gabriel Sherman, whose most recent piece was a long and damning article on Ailes for New York magazine published on Friday. Harder is also representing Melania Trump in a libel suit against The Daily Mail, and according to the New York Times, he’s already contacted New York to preserve documents used by Sherman for his article with the possible intention of filing a defamation claim against him and the publication. The wide reaching effects of these events can’t yet be fully understood, but reverberations continue to shake the network. Mediaite announced today that one of Ailes biggest female defenders at the company, Greta Van Susteren, has left Fox and her show On the Record after 14 years. The show will now be headed by Brit Hume.